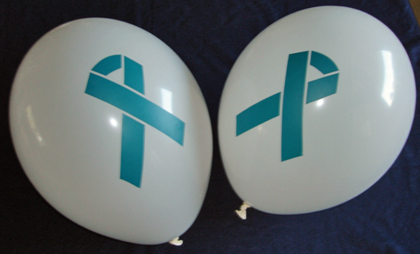 11" white balloon with Teal ribbon imprint on two sides. 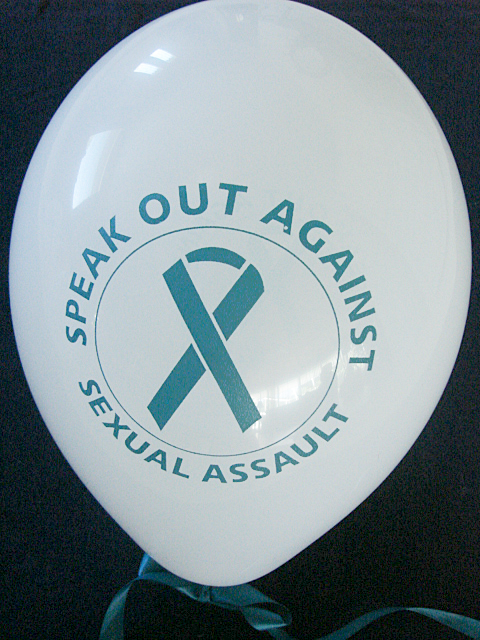 Bag of 100 balloons only $39.00. 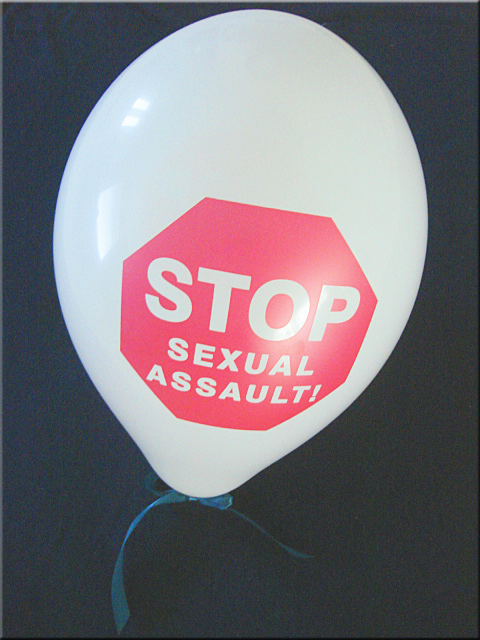 11" white biodegradable balloons with Red imprint of your choice on two sides. Bag of 100 balloons only $39.00.